Peer learning is a form of development that is effective, collaborative, relational and challenging. It equips organisations to work with the potentials and constraints being faced by many. Peering into the Future is a brief guide which aims to set the wider context. 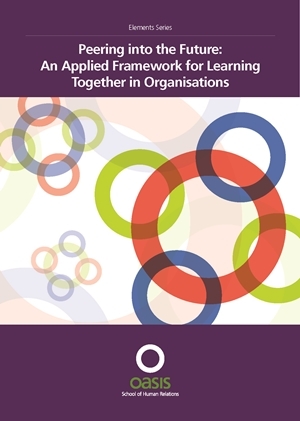 It identifies peer group approaches as one way organisations and the people within them can engage with ongoing learning and increase the effectiveness of their actions. Download the manual for free. If you require a hard copy, these are available from the centre. Contact us on 01937 541700.